Center Line Public Schools (CLPS) is in Macomb County, which lies in the southeastern part of Michigan just outside the city of Detroit. The city of Center Line is just 1.74 square miles and is surrounded by the city of Warren. This urban city’s crime rate is higher than the U.S. average and the unemployment rate is higher than the average city in Michigan. In 2015-16, CLPS’s enrollment was 2,647 students, with 65% receiving free and reduced lunch and 69% coming from economically disadvantaged homes. While these statistics look grim, the staff at Center Line Public Schools believes in the potential of every student and takes action to help them reach that potential. They know that in order to learn, students must feel safe, full, and loved. CLPS has created wrap-around services for their students by partnering with local organizations and businesses to provide support for their families. The district employs school psychologists, speech and language providers, teacher consultants, and school social workers. 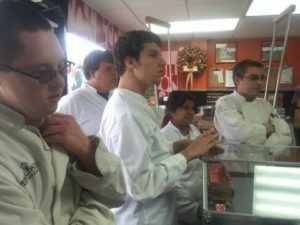 This staff works with a host of community businesses and organizations to assist families with needs outside of school. The Community Outreach link on the district website, as well as resources on the bottom of each school’s web page, lists resources for parents to access. 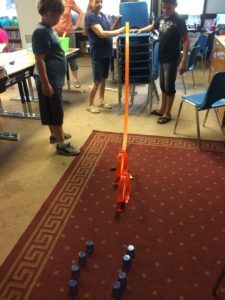 For the past five years, the district has held a CLPS community picnic for families and staff prior to the start of school. 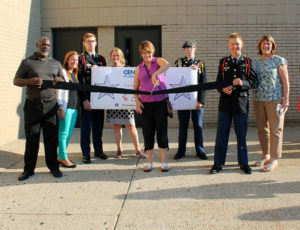 The 2016 picnic included a ribbon cutting ceremony to celebrate the Center Line High School Academies (more information about the Academies is below). 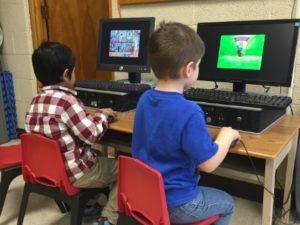 Personalization for some Center Line students includes online courses. All students K-12 have the option to take online classes whether they take one or two courses or all their classes online. Academy 21 (AC21), the program Lilianna attends, is a hybrid high school where students take courses online but come to the school facility for assistance and to take exams. This blended model provides students flexibility, choice, and support when needed. AC21 is housed in a wing of the administration building. Highly-qualified, hand-selected teachers are available daily to assist students both online and in a classroom. Online content is provided through Compass, Odysseyware, and Plato with teachers providing additional resources when students are struggling. 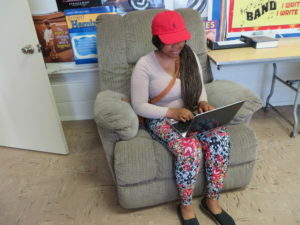 Each student is assigned a teacher-mentor who connects with the student at least once a week via email, calls, texts, and software messaging. Most often teacher-mentors and students will communicate multiple times throughout the week as the students work on their classes. The curriculum is customizable as students can take both core and elective courses, including Job Skills, Career Management, Business Law, Gothic Literature: Monster stories, Fundamentals of Digital Media, Real World Parenting, and Veterinary Science. Prior to enrolling with Academy 21, the student and parents discuss their educational options with Center Line staff to determine if online/blended education is right for the student. The AC21 2016 graduates in this video are thankful to Center Line Public Schools for making this hybrid option available to them. Personalization is front and center at Center Line High School. Forty members of the Strategic Planning Committee, representing all stakeholders, committed to a goal that all students who leave Center Line High School will have college credits and/or an industry recognized certification. To make this a reality, beginning Fall 2016, every high school student will participate in an academy at CLHS. The wall-to-wall academies are designed to help every student experience a relevant, rigorous, and relationship focused program of study. 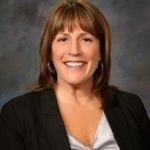 Kaltz stated, “Research has always pointed to relationships as the greatest factor for student success, and we have found a way to take a small number of staff and wrap them around a small group of students, all while immersing students in career exploration and opportunities. We believe that this is a recipe for success for all of our kids.” In these career academies, backed by Ford Next Generation Learning, students will be able to study a pathway of their personal interest, develop 21st century workplace skills, and apply the skills and concepts they learn with community partners to their future careers. Due to the relevance and rigor associated with wall-to-wall academies, students graduate with options – enter the workforce with skills, articulate into a community college, or go on to college for advanced study (often with credits). Wall-to-wall academies have been successful in metro areas of Tennessee, California, and Florida. Once an academy is selected, students choose a pathway of focus that aligns with their individual goals. Pathways within the ITI Academy include Engineering Technology, Digital Design & Communication, Innovative Art & Design, and Business, Commerce & Entrepreneurship. 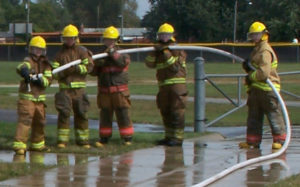 Pathways within the HHS Academy include Law & Justice, Public Service, and Firefighting & First Responders. Within these pathways, students can personalize their learning by taking AP, CTE, and online courses, completing internships, and even earning an associate’s degree through the early college program. CTE courses are taken through the Southwest Macomb Technical Education Consortium (SMTEC). This consortium offers CTE classes at local high schools that focus on high-wage, high-demand skills needed in today’s workforce. Students receive bus transportation to CTE courses that are not offered at Center Line. All CTE courses offer college credit through Articulation Agreements with a variety of Michigan colleges and universities.